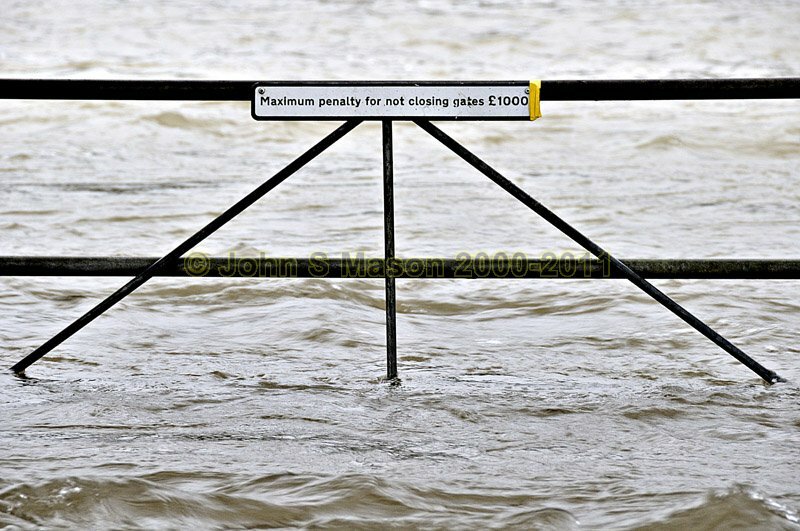 Gateway crossing on the railway in the January 2011 floods - cunning use of the telephoto lens! Product number 011106. Email me to enquire about this image: click HERE.